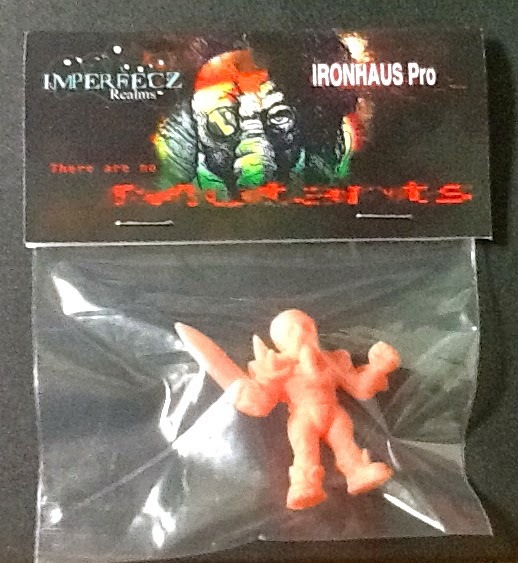 Ironhaus Productions OZ: PRESENT - MUTANTS by IronHaus Productions X Imperfecz toys REVIEW! 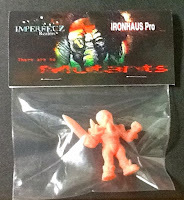 PRESENT - MUTANTS by IronHaus Productions X Imperfecz toys REVIEW! IronHaus Productions has teamed up with Imperfecz Toys and released a brand-spanking-new line of rubber mini-figures simply called 'MUTANTS'. 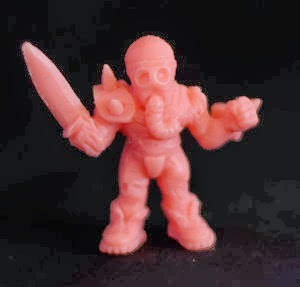 Cast in the same soft rubber we all know and expect from Indie Mini-Figures we've seen in the past from IronMask & Eric Nilla, and feel much like M.I.M.P do. 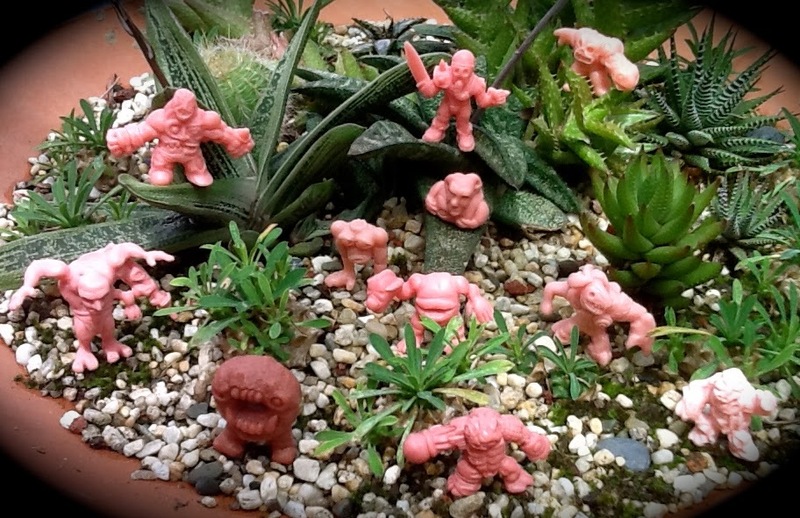 The figures themselves range from about 1.5" - 2.5" although most are about the 1.75" range. The standard flesh colours have a nice novel twist in that theres a large degree of variation in the tones, from a pale creamy tone all the way to a more tanned, bronzy tone. Genius! Also, there are other colours available too as seen in the image above, with some rare chase figures thrown in to keep things interesting! Mutants is shaping up to be a very neat line of figures indeed. How the full set comes come packaged. 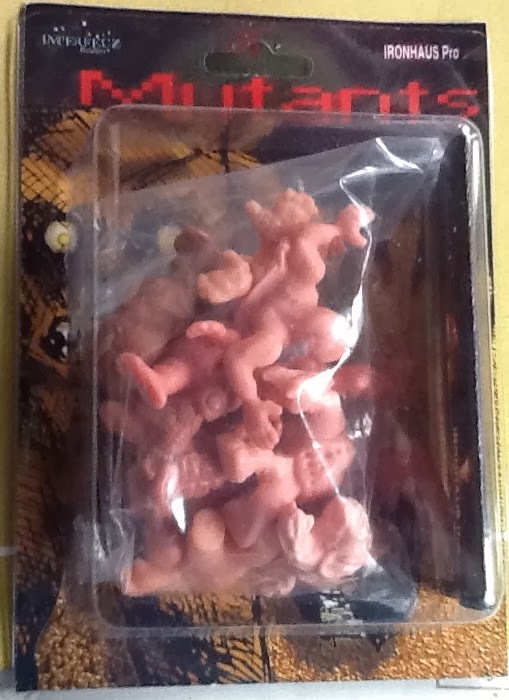 various tones of flesh, as well as the Hunter figure. The Hunter, complete in packaging. 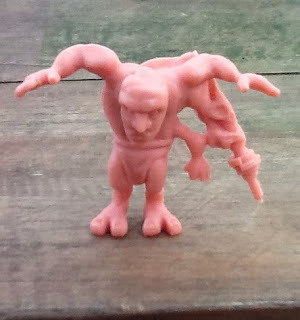 First, lets have a closer look at the Hunter figure. This guy looks badass and ready to take down some mutants! Armed with a surgically attached forearm blade & armour plating, boots, spiked gauntlet... This guy isnt messing around! No Mutant Hunter is complete without a gas mask, no doubt to stave off the infection as he cleaves his way through the mutated masses. It feels a lot like a M.U.S.C.L.E figure, however I do believe it is an original sculpt and not a kitbash (but I may be wrong). This guy looks amazing, and the photos do not do him justice. 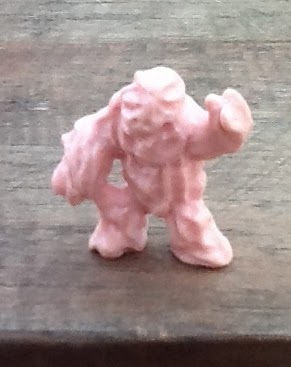 The Mutants in their various flesh tones; an idea rarely seen in mini-figures and yet adds a lot of appeal as oppose to the standard flesh colour. I haven't seen this done since Oodles: Coochy Coodles back in the 80's! 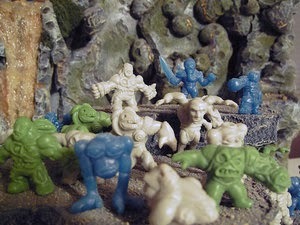 Currently there are 10 different Mutant figures & 1 Hunter figure to collect. 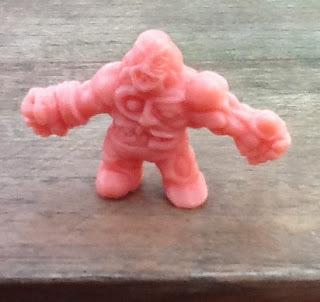 Lets have a look at each mutant in a bit more detail. 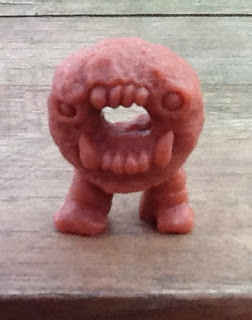 GODO - A freakish looking Mutant who has a rather pouty looking mouth in its torso, and holding a decapitated head with what looks like an eye peering out of the mouth. Freaky but awesome! 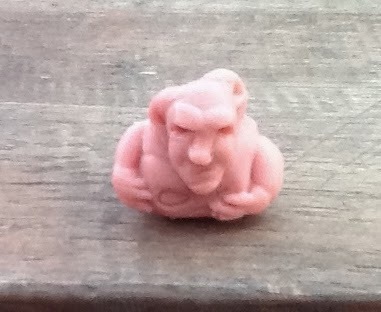 CARAES - An abortion looking fetus Mutant that reminds me of the parasitic Kuato from Total Recall, minus his helpless host. Not my favourite so the Hunter can waste him first. FOSSILUS - I really like this character a lot! He's got heaps of detail, and the skull helmet really gives it a wasteland Mutant feel, like they're trying to be resourceful and making armour/weapons from scrap. MUKOU- One of the smaller Mutants, he appears to be an elemental made of crystalline or rock.. It could even be slime or muk, as the name somewhat suggests. SEWERSTEIN- A stabd out favourite for me, half turtle, half cyborg complete with cybernetic enhancements and a metallic face plate much like Kano from Mortal Kombat. His scales and shell look fantastic! 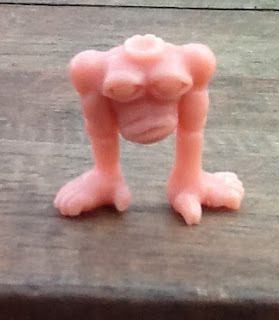 TRONCO- An interesting Mutant who is mostly comprised of a upper torso, decapitated for good measure and with eyeballs for breasts. Usual, run-of-the-mill Mutant stuff really. Very cool figure! BRACHAENG- May have a difficult name to pronounce, but this Mutant isn't hard to like! 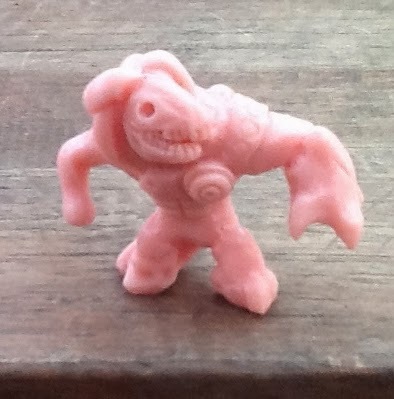 Easily the tallest & largest of the Mutants, he reminds me somewhat of a Necromorph from Dead Space. Creepy! JANUS- Is a bit like Blemmyea meets Frankenstein, and has irregular asymmetry that makes him stand out from the others Mutants in a good way. He's quite beefy too. BLEMZINGER- Is as the name suggests, Blemmyea but with a twist; his left arm is a mutated snake creature! 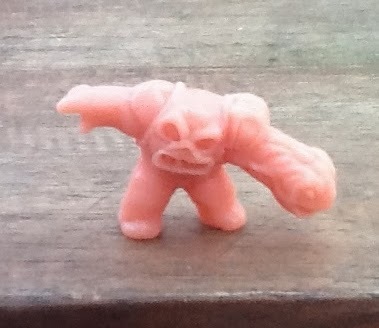 With a cool stance and sinister expression, he may be on the short side but he looks like he packs a punch. The Mutants are available in various colours depending on how you buy them. Here's a breakdown of how they're available, and can be purchased at Imperfecz Toys Bigcartel Store NOW! 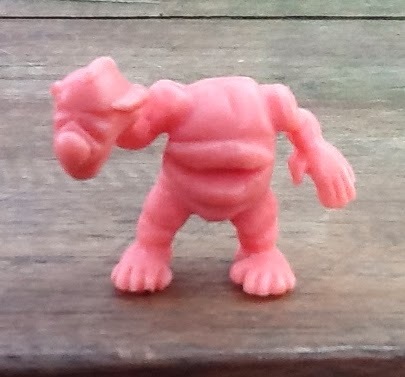 * Mutants 3-Pack Blindbag - $20.00 USD3 random Mutant figures in random colours like Flesh, One-offs & other surprises. 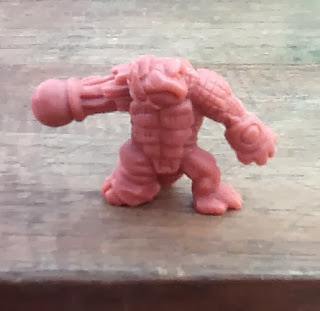 Its possible to pull a Hunter too, or even something else unexpected..
* Mutants 2-Pack selections - $15.00 USD(Pre-paired 2-packs of the Mutants cast in a flesh colour, here's the selections. 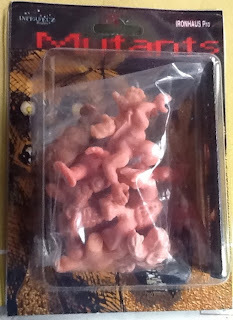 * Mutants Full 11 Figure Set - $60All 10 Mutants & Hunter making a total of 11 figures, carded and in various flesh tones. I highly recommend picking up the full 11 figure set for $60, since it works out around $5.45 per figure which is practically unheard on this industry. And who wouldn't want a full set of figures I one foul swoop? It saves on chasing them around and remembering drop-dates, as well as saves cash on shipping! Great post on the Mutants...I liked reading your take on all the characters! Hopefully we'll see more Mutants from Luke and Jimmy in the future. Thanks Frank! I was a bit behind the 8-ball posting on these but I finally got around to it. You're review was awesome too dude! Hope we do get more Mutant releases... I really like where its headed so far.